We Have various links posted that will help you out if you want to book a trip with us. These links also offer a wealth of information about the area we fish and and fly fishing in general. Outdoor Alabama is the states official website. Here you can find out any information about rules and regulations as well as purchase the needed fresh water license needed to fish with us. There is a lot more information located on the site so check it out! Rainbow City Auction is the local fly shop in the area. It is run by Frank and Tammy Roden and they are more than helpful at setting you up with any gear you may need for fishing the area on your own. You can find there contact information on their web site. Rainbow Fly Fishing Club is an organization we are members of. 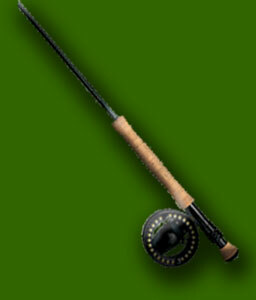 It is a highly active group of people who are passionate about fly fishing. We would love to have you come by and sit in on one of our meetings sometime if you would like. For more information, visit the web site. The Dekalb County Tourism Board can keep you up to date on all the attractions and accommodations located around Little River Canyon. They have a comprehensive web site that can inform you of just about anything you may want to know about the area. Temple Fork Outfitters are the makers of fine fly fishing equipment at an affordable price. North Alabama Fly Fishing is not sponsored by TFO but we fish and highly recommend their rods, reels, and other equipment. Many of the top names in fly fishing have caught the TFO bug themselves. If they think that their products are good enough to put their name out there...then they have to be great products. Check out their web site for more information about their great company and products. Little River Canyon National Preserve is one of the major areas we fish. This is the National Parks Services web site where you can find out all about the preserve.